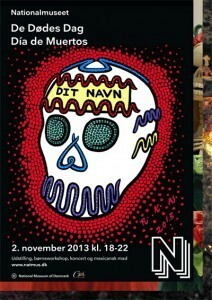 Even in Denmarks National Museum they celebrate Halloween – with their very own Day of the Dead! The ancient Viking belief was that a warrior killed in Battle could loook forward to an eternity of battle all day and rinking all night in the halls of Valhalla. Despite this cultural heritage Death is rarely seen as something festive in the Nordics, but embracing a Latin American tradition, it is an entirely different matter. Here they the deceased are remembered and celebrated every year on the Day of the Dead – Día de Muertos; where the dead souls come to visit the living and expect to be received with ‘food, drink and horn music’. 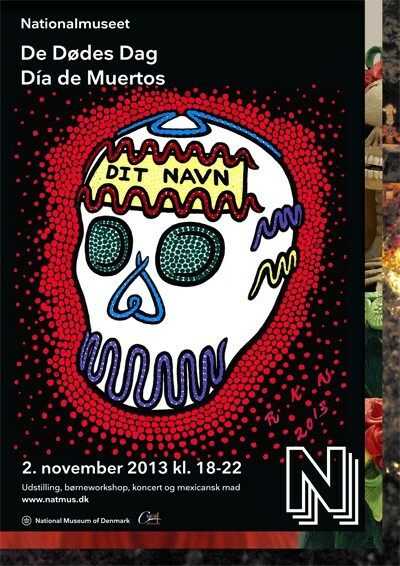 The National Museums opens its doors to you and the dead on the 2rd of November!